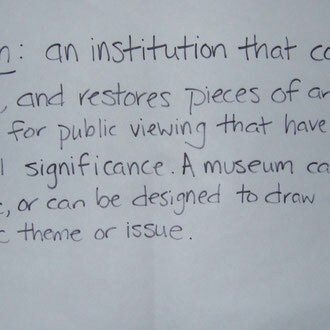 "The definition of a museum has evolved, in line with developments in society." 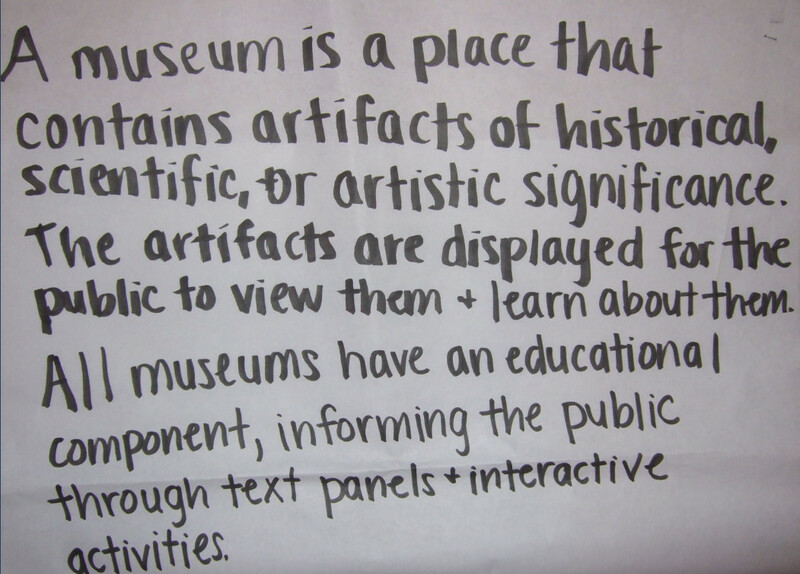 Museum professionals have struggled over the definition, which often centers on things. 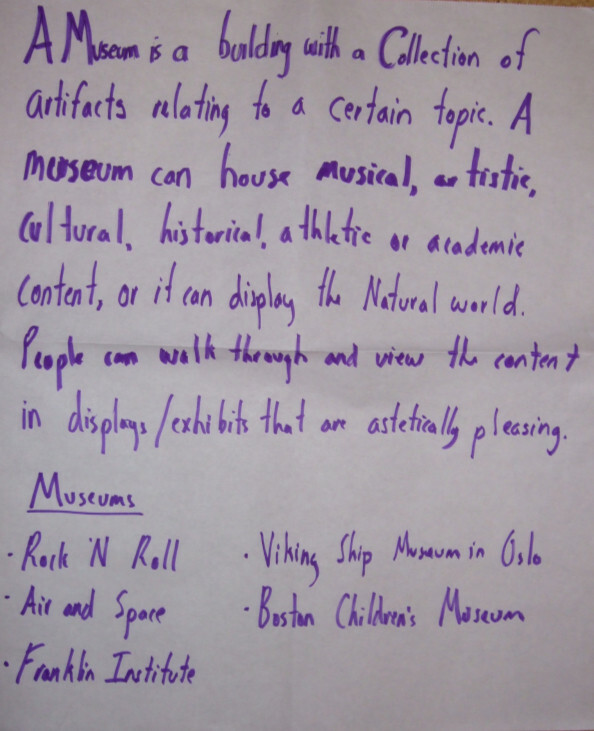 Do the objects have to be real? 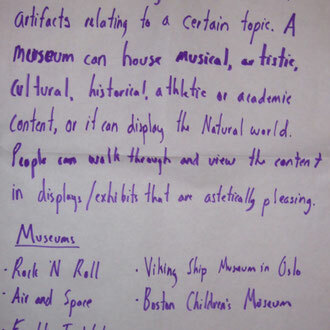 What about living things: animals, plants, fish? 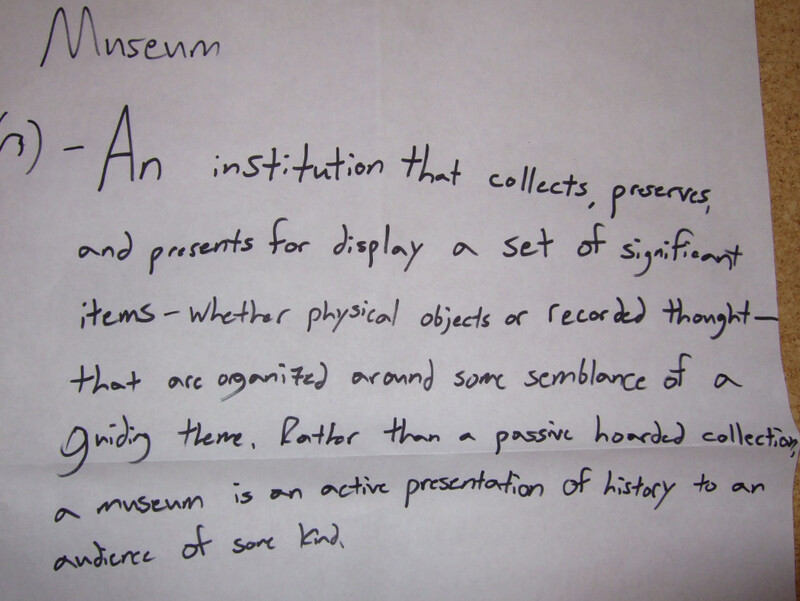 Do museums have to display objects? 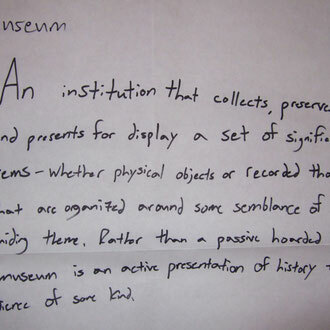 What about a place that stores memories or a living history center? 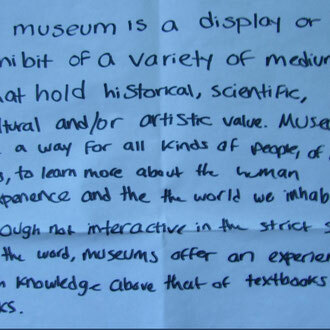 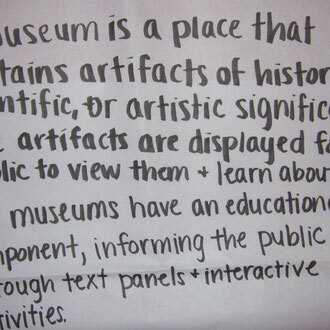 The following group definitions are from college undergraduates in response to the question, "What is a museum?" 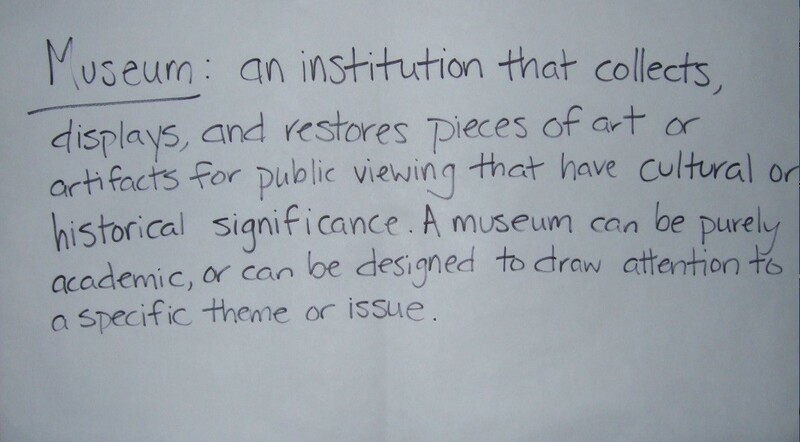 The definitions were created prior to a discussion about the difference between museums and other institutions. 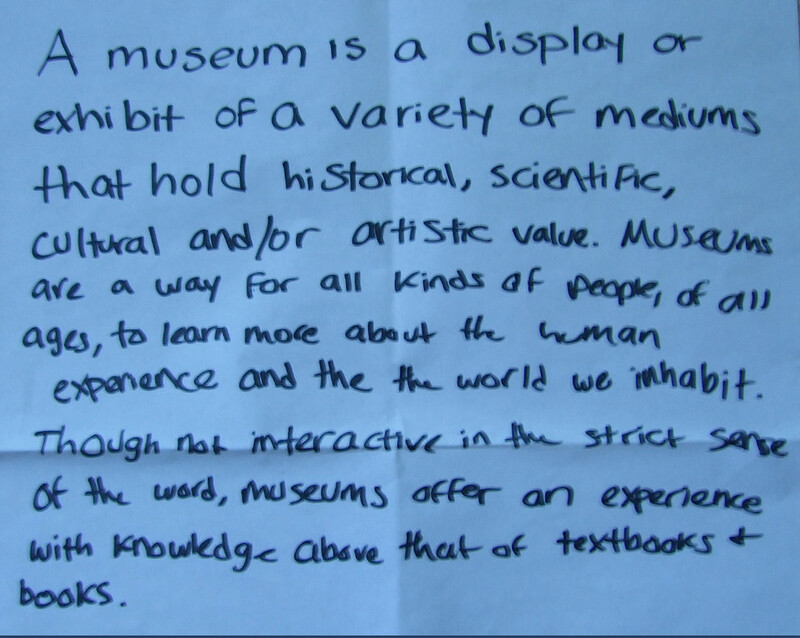 We also discussed types of museums, how museums can teach content across disciplines, and the educational benefits of the arts as inspiration. 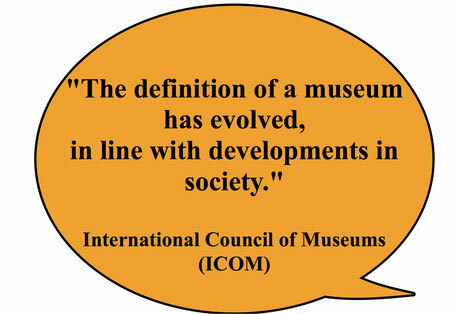 Click on the image to read the definition.